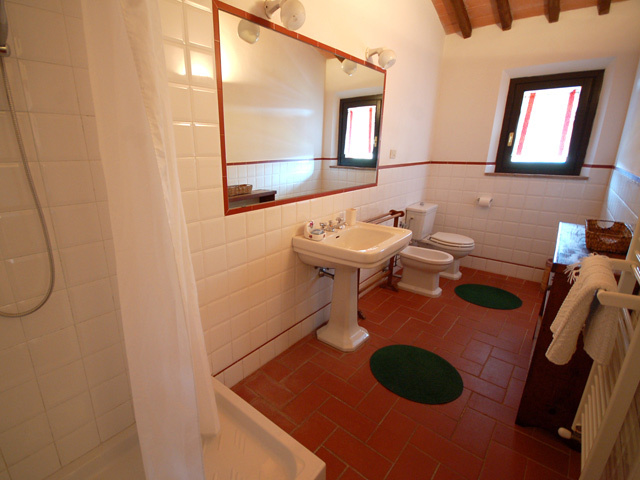 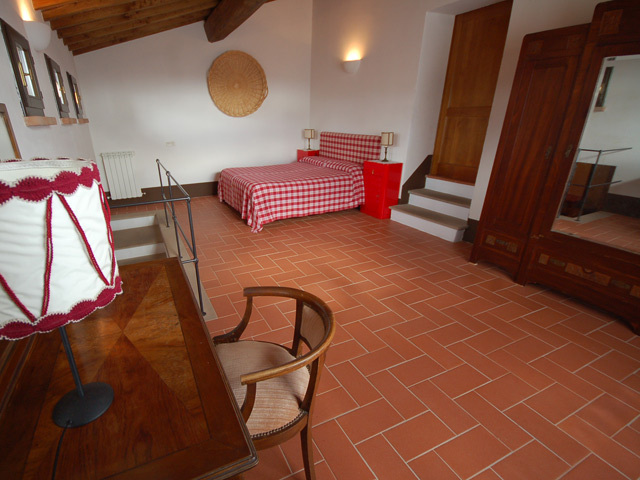 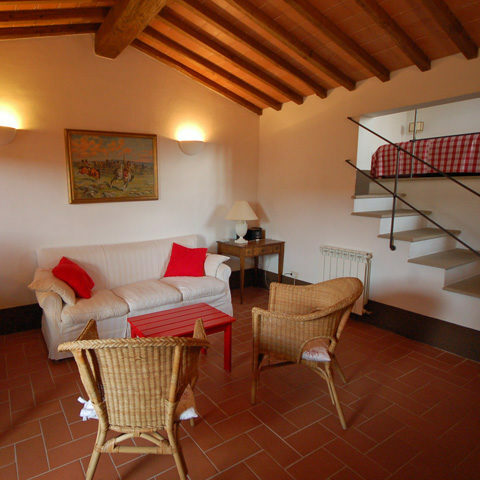 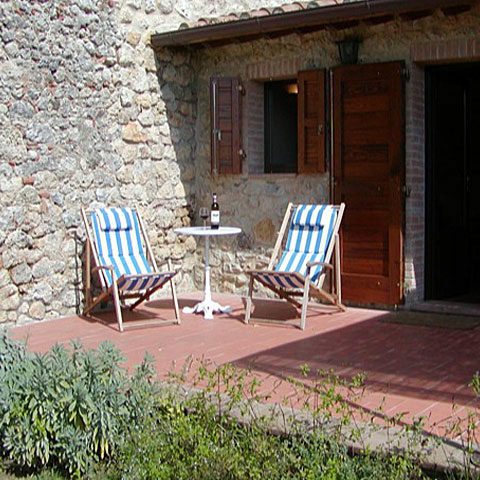 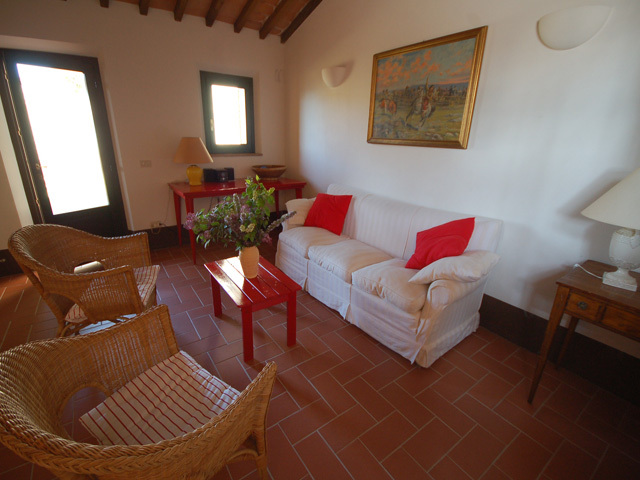 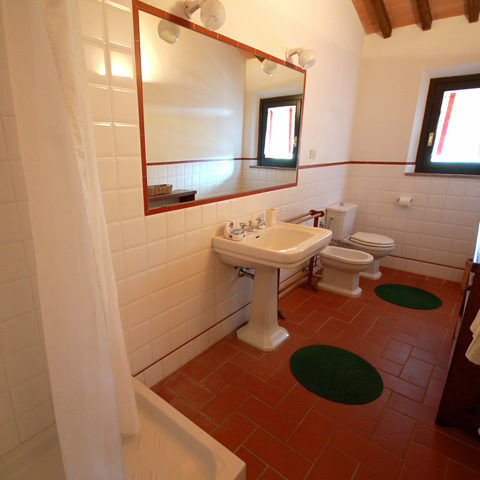 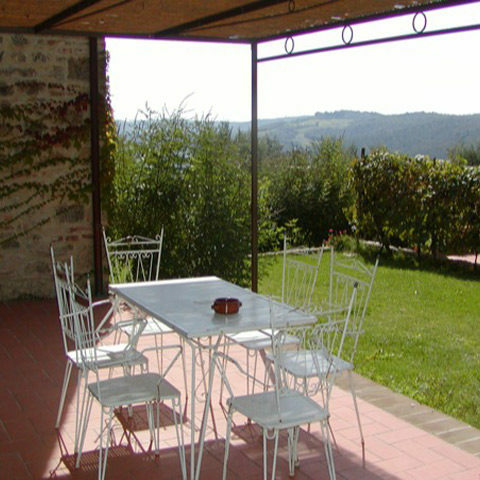 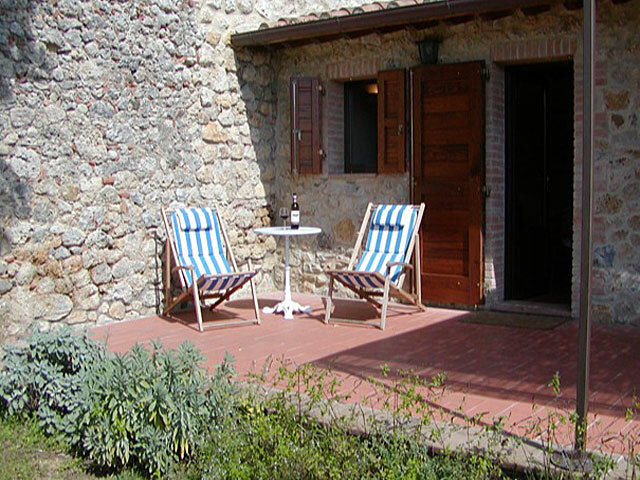 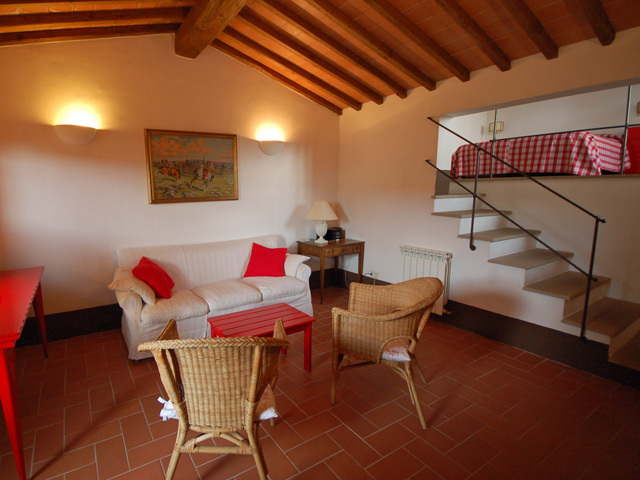 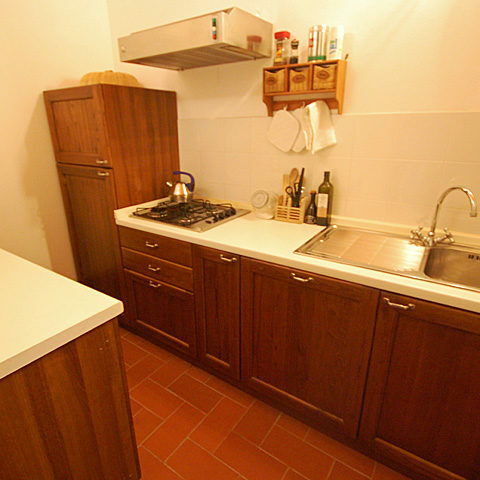 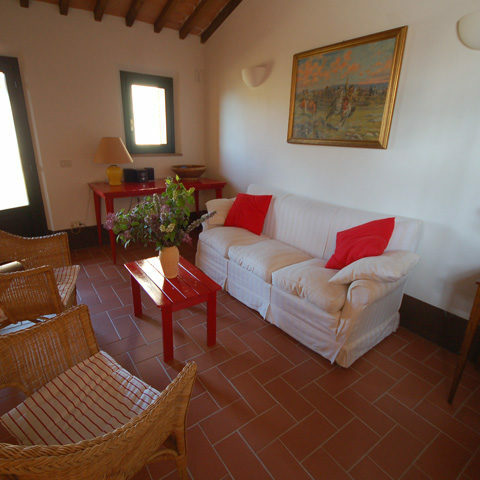 Trebbiano is an apartment for two within one of the houses, accessed either from the main piazza or its private garden patio. 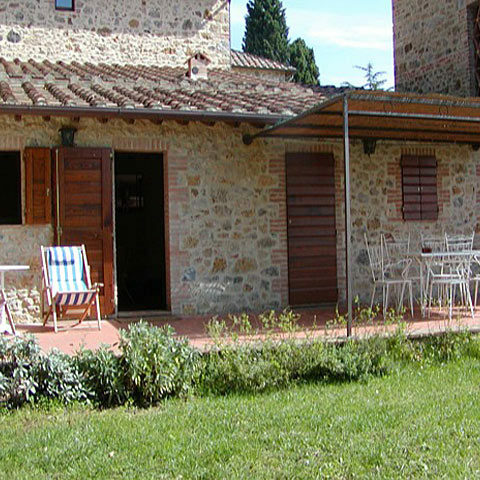 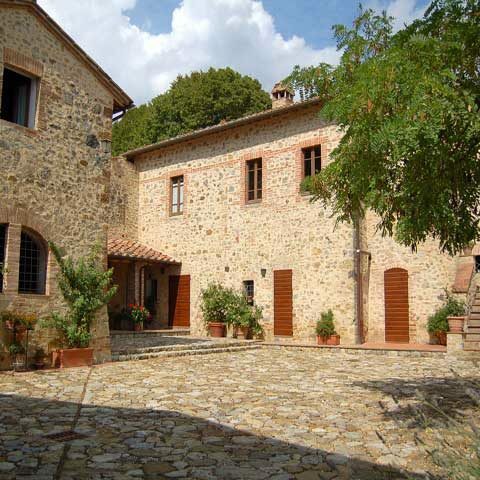 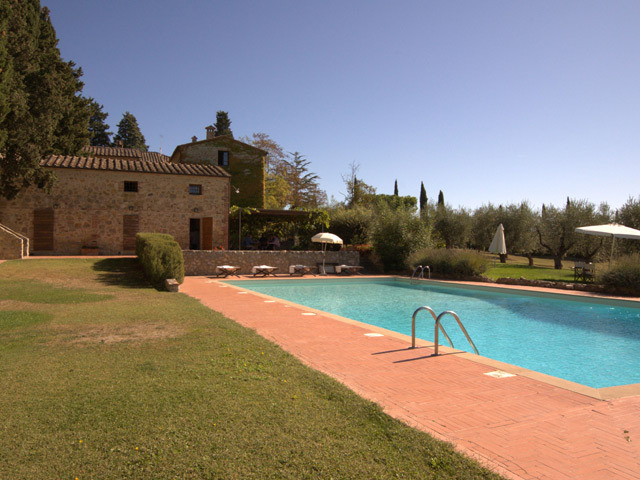 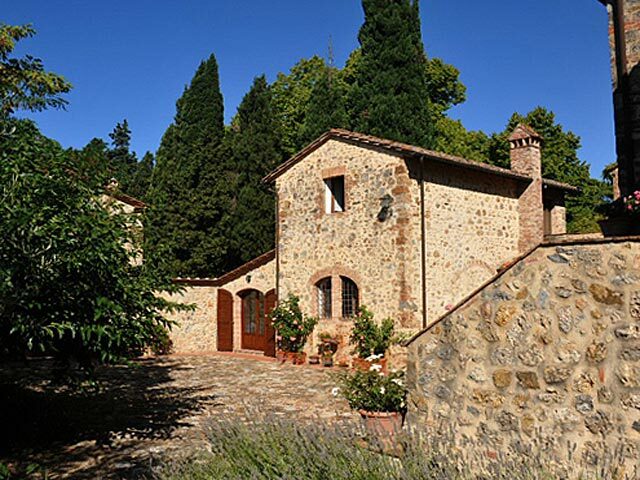 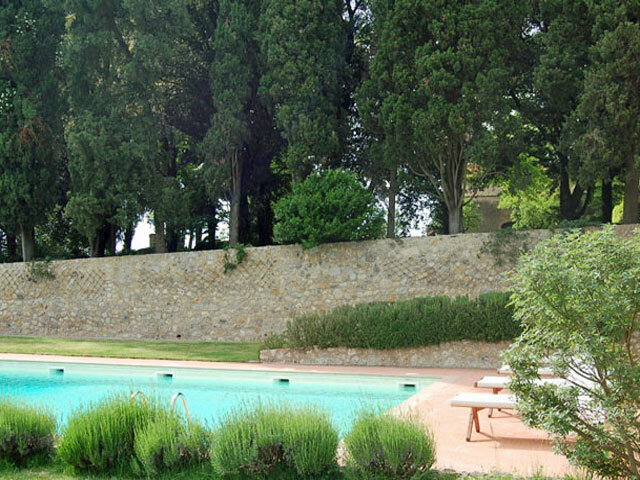 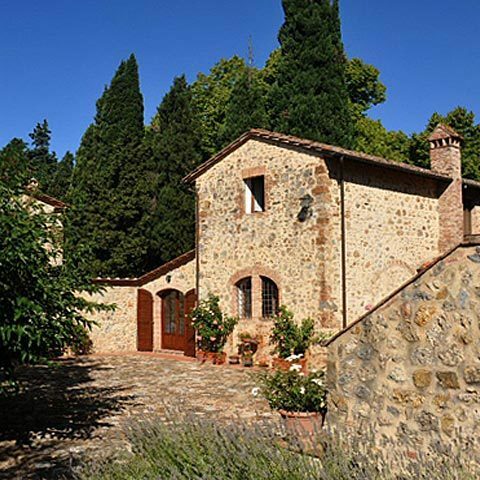 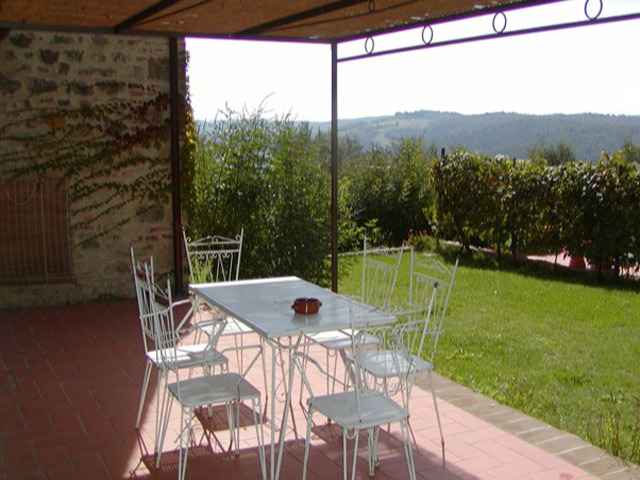 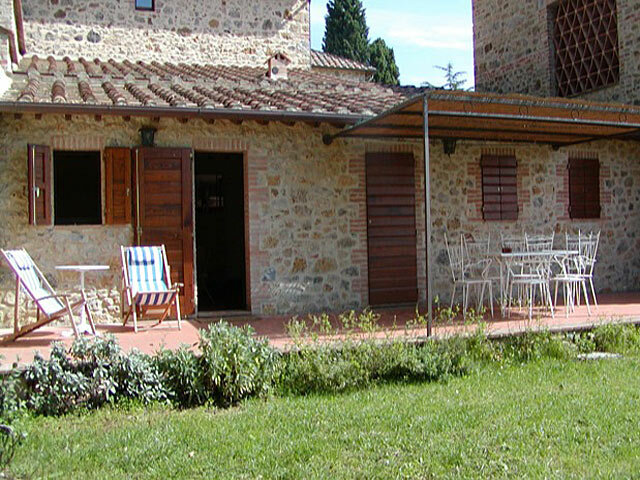 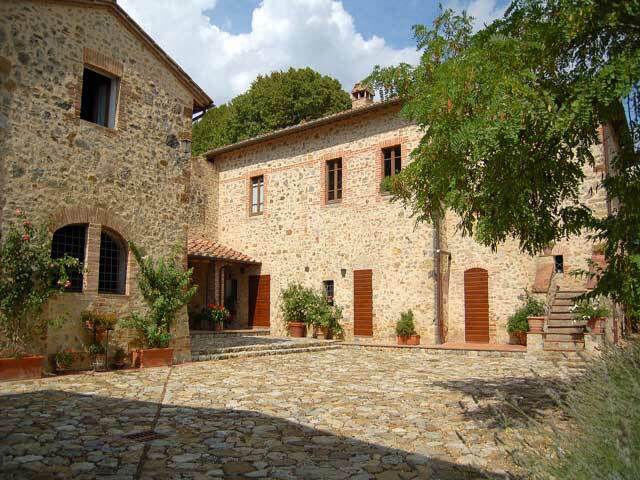 Taken on its own, it is a lovely retreat for a couple wishing to enjoy the wine estate with a touch more privacy; combined with Canaiolo, it affords a larger living area for a group of six. 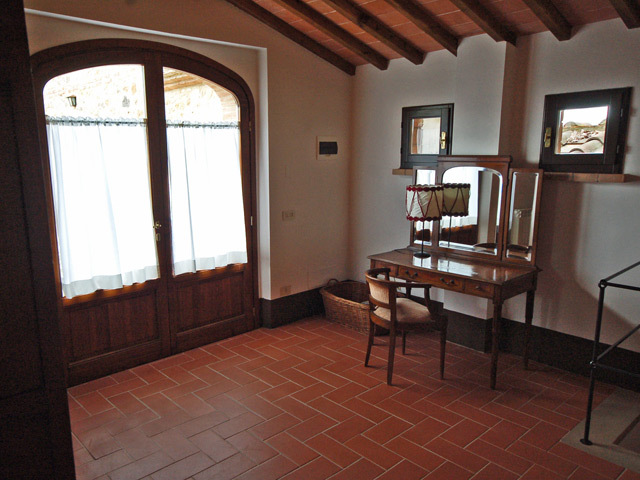 Entrance to this intimate apartment is from its private garden and covered furnished patio into a sitting room furnished with a comfortable sofa and wicker armchairs. 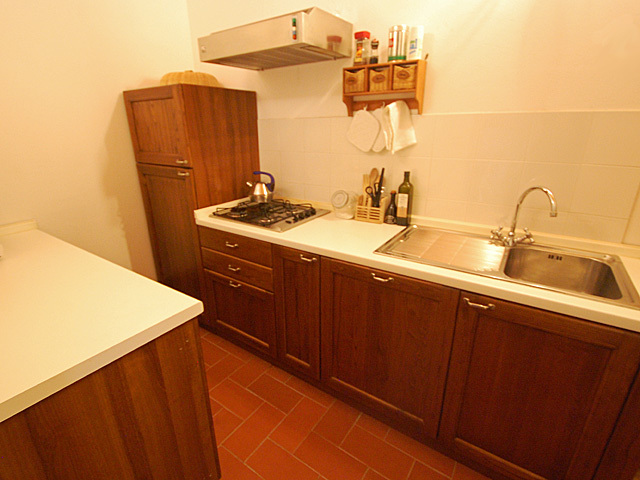 Off of the sitting room is a compact kitchen that also accesses the patio, as well as a short hallway leading to the shower room. 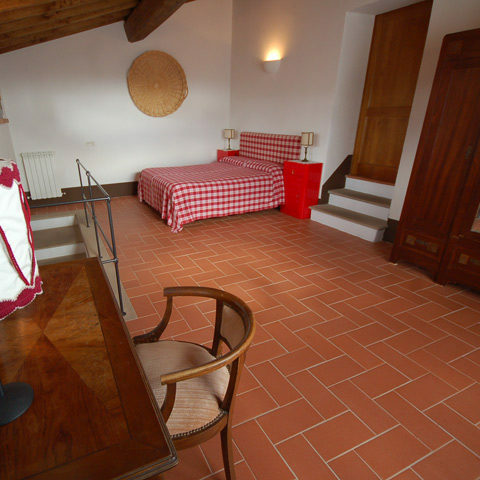 A short open staircase leads up to the large bedroom with with a queen bed and a single. 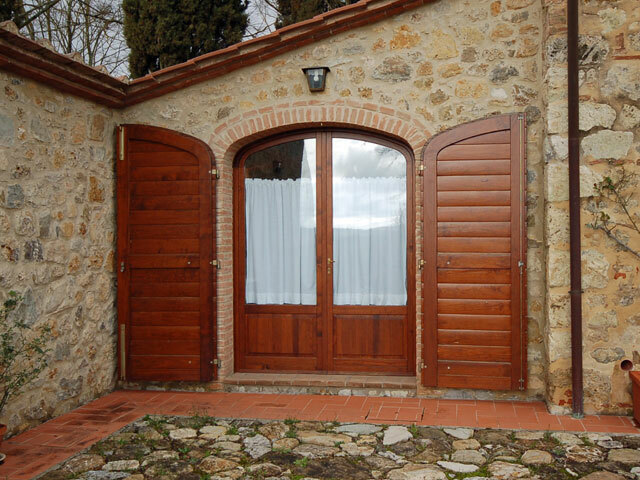 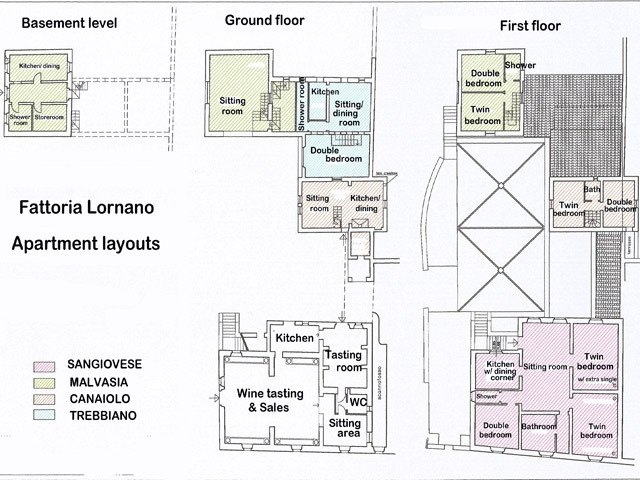 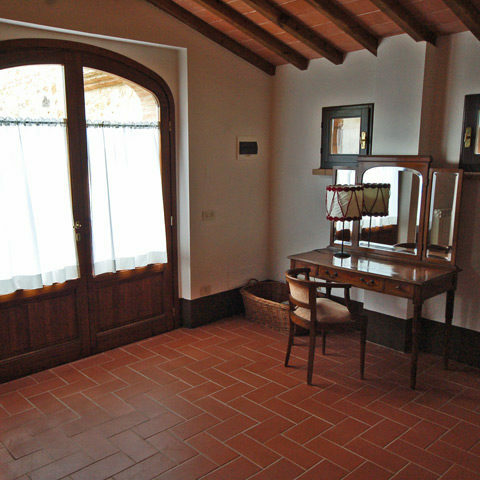 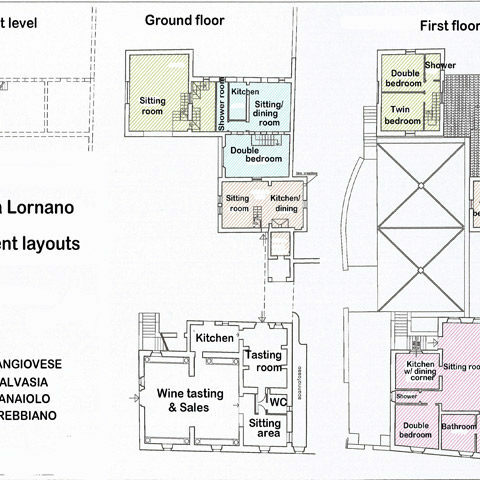 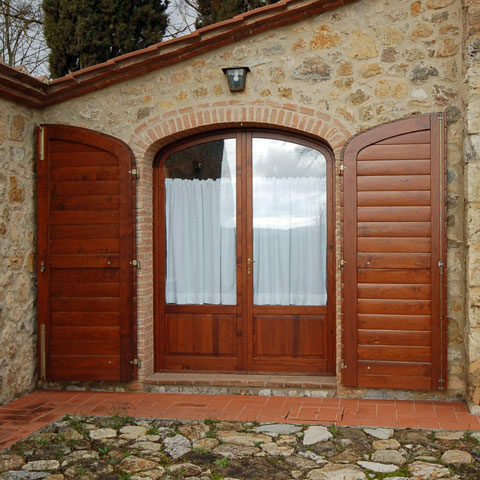 This room has a wide arched French doors to the central piazza and a door, which could be unlocked should guests decide to take Trebbiano in conjunction with Canaiolo (Ref. 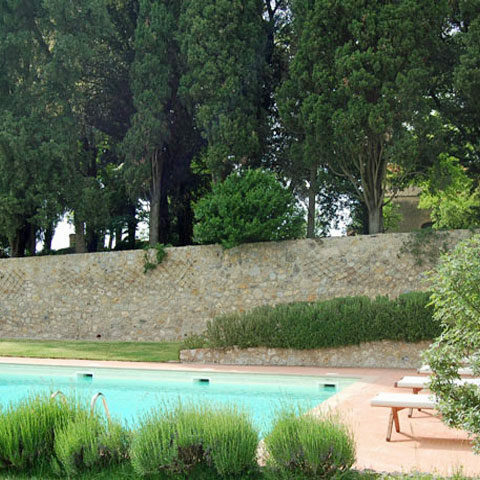 147).